Comments: Is almost evergreen where winters are mild, but dies to the ground elsewhere. 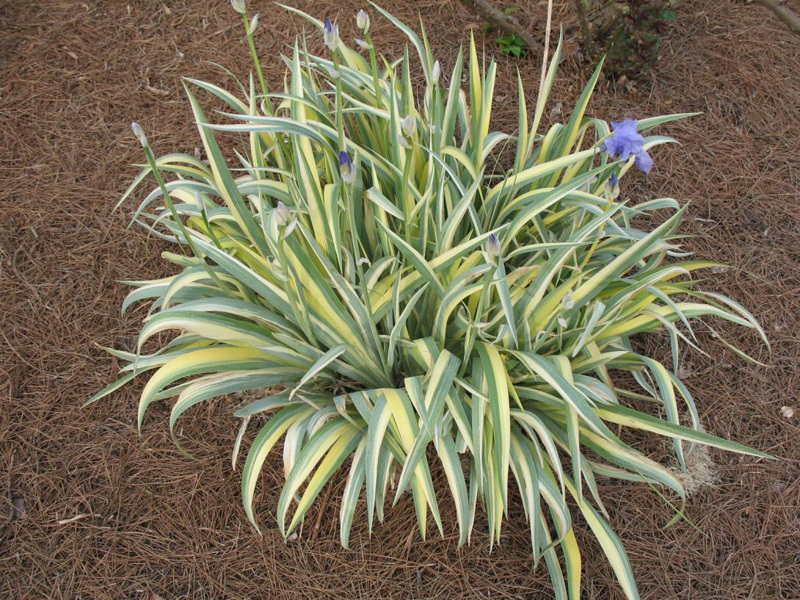 This selection is highly prized for its fragrant violet-blue flower and its strikingly showy tri-colored foliage. Wiull grow in more shade than other iris. Divide clumps in late swummer every three years to keep healthy and flowering.